This foundation course is designed to introduce delegates with little or no previous experience into the Locksmith world, which will ensure each delegate will learn how to pick, open and bypass many types of domestic and commercial locks that are popular in the outside world. The course offers intensive training over a 5 day period with a maximum of 5 students per course. The course is 90% practical to ensure you know how to put the theory into practice. Upon completion of the course you will have the ability to start practicing as a knowledgeable locksmith and have an in-depth ability to work on the locks trained on. You will also receive a detailed instruction manual and training certificate. 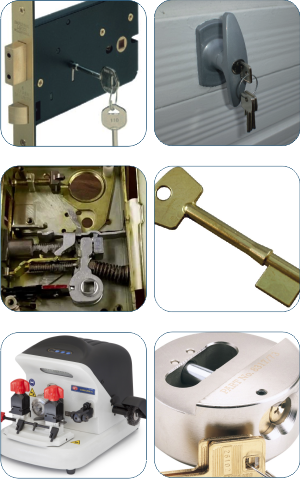 As a part of the cost of the course you will be issued with a comprehensive tool box and tools with a range of opening tools ideal to start your locksmith trade. This course is ideal for general public, armed services not currently involved in the locksmith industry or anyone looking for a career change into a niche market with a high level of technical content and good rewards.